. This month we are featuring Prashant Tamang as the "Personality of the Month". Mr. Tamang is a Darjeeling-based singer of Nepali origin who won the Indian Idol Season 3 in 2007.Son of Rupa Tamang and late Madan Tamang, Prashant Tamang was born in Tungsung, Darjeeling. He spent most of his childhood there. He attended St.Robert's School. His family includes his grandmother, mother and his sister. Prashant joined the Indian Police force after the demise of his father. While serving in Kolkatta police force, he joined the police orchestra. It was his friends in the orchestra who suggested him to try out for theIndian Idol. According to Mr. Tamang he had never planned to participate in the competition but always loved to sing. "Music is a passion for me. ", says Prashant when we asked him what music meant for him. 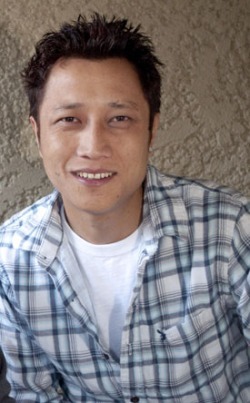 Prashant Tamang rose to fame with his performance at the Indian Idol competition in 2007. People of Nepali origin from around the world supported him. He soon became a celebrity in West Bengal (his home state), Sikkim and Nepal. It was the votes from people in these places that helped him win the competition. Apart from the huge support from his fans at the competition, he does have a very lovely voice and is a very talented singer. Prashant Tamang has sang number of Nepali songs after winning the Indian Idol. His first album "Dhanyavad" was dedicated to the people who supported him during the event. He will be starring in Nepali movie called "Gurkha Paltan" (Gurkha Brigade) playing the role of a poor Nepali guy who is forced to join the British Gurkha Brigade to support his family. We wish him Good luck with his singing and acting career. We would like to thank him for the time he set aside to talk with us.